Many of the Director's books are available in ebook, paperback, &/or hardback. They can be accessed on lulu.com, or click the book's picture below to go directly to that book. Click here to access the hardback version of this book. EBook Available to Download on lulu.com Click Here! 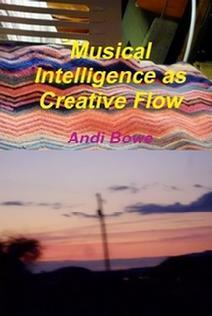 Dedicated to using Music for Peace and Healing, Andi Bowe is also known as a world renowned poet, indie author, songwriter, musician, piano teacher, educator, web page designer and Grandmother. Anacortes, WA, June 18, 2018 --(PR.com)-- Marquis Who's Who sent an email to the Director. "Marquis Who's Who only honors individuals who have demonstrated leadership, excellence, and longevity within their respective industries and professions." CSIRI is dedicated to educating the public on the social interactions affected and created by computers in a digital information age. Dr. Frederick Bernard Wood is one of the unsung and almost unknown heroes of the 20th Century, and the Director has carried on his vision of attempting earth regenesis using rock dust to restore habitat and providing almost free energy to the people, thus creating an environment of health and wealth for all, not just the rich and famous. As an independent producer at community TV in Santa Cruz CA, the Director started a 2 year weekly half hour series with the first installment an interview with Dr. Wood on the subject Energy Crisis: Fact or Fiction? The rolling blackouts stopped the very next day. As a leader, Andi Bowe declared, "The Truth can set you Free" (but only if you are allowed to hear). "Whose World to Lose? Ours!" Click here for ebook The Medusa Effect: Has the Media turned Our Hearts Into Stone? 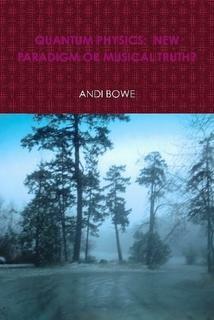 Quantum Physics Ebook: New Paradigm or Musical Truth?